This equipment is used to reduce the size of a solid mix of raw materials (such as rock ore), so that pieces of different composition can be differentiated. It can also be used for size reduction of waste materials so they can be more easily used, disposed of or recycled. 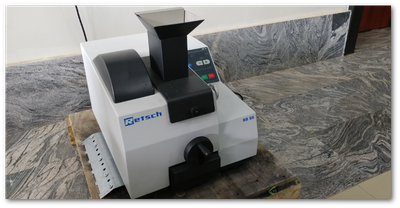 The equipment is used by the multifunctional FRG for processing of rock ores and clay samples.